For Valentino, the story behind the collection was that of the Roman Opera. Pierpaolo Piccioli was drawn to its “traditions and techniques that are very close to the world of couture”. The Givenchy collection was also romantic, as Riccardo Tisci drew inspiration from Madame Grès and her legendary drapery. The collection featured draping of fabrics and cowl necks. How can you create these looks? First learn a bit more about the History of Draping. 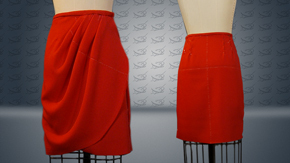 Then head over to our DRAPING section on our website. 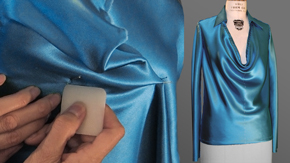 Here you will learn to drape beginner to intermediate projects, like draping a Bias Wrap Skirt or draping a Bias Cowl Blouse.